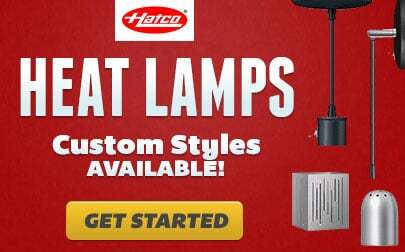 Height adjustable from 34" - 46"
Slice tender cuts of your most popular foods right before your customers' eyes with the Hatco DCS400-1 antique bronze decorative carving station lamp! In addition to an eye-catching design, this unique item features attractive antique bronze accents along the lamp shade. 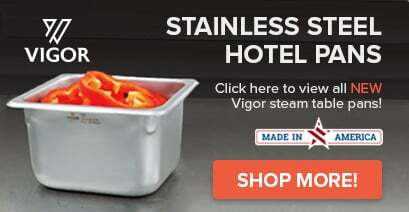 It boasts 250 watts of heating power to keep your food at safe, ready-to-eat temperatures without drying it out. Plus, the bermuda sand-colored base makes it a free-standing structure that is ideal for almost any buffet area, while the adjustable post can be set between 34" and 46" at any time. 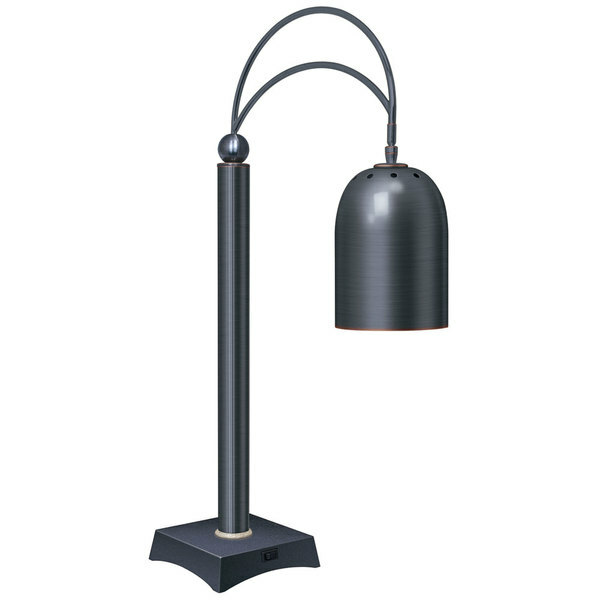 And thanks to its pivoting design, this lamp head can be moved up to 30 degrees to either side as needed. Adjustable from 34" to 46"